The Raspberry Resolution Martini is variation on the a classic Kir Royale, a cocktail that is a combination of Creme de Cassis and Champagne, but I added a bit of raspberry to the mix with a splash of Chambord. Add the Creme de Cassis and Chambord to the chilled flute, then top off with chilled Champagne. 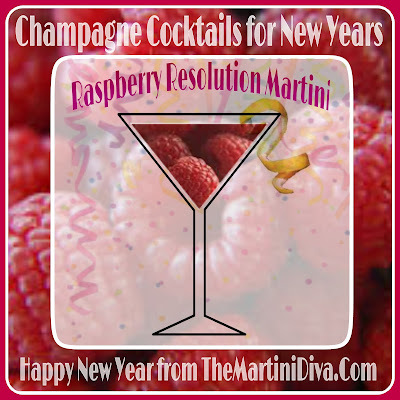 Garnish with fresh raspberries, add a twist of lemon and serve.